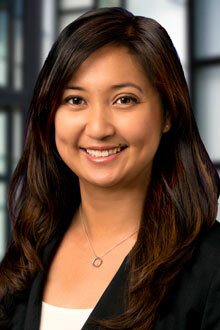 Jacqueline Go is a partner in the San Francisco office of Lewis Brisbois and a member of the Workers' Compensation Practice. She is dedicated to representing employers, insurers, self-insureds, and third-party administrators in the defense of all aspects of workers' compensation actions in California, including representation of employers in matters involving discrimination under Labor Code Section 132a and Serious and Willful Misconduct (Labor Code Section 4553). Daily practice includes handling all aspects of workers’ compensation claims from the simplest matters to complex cases involving multiple parties with structured settlements. Ms. Go is skilled at managing workers’ compensation claims, to ensure claims are proactively and regularly reevaluated.